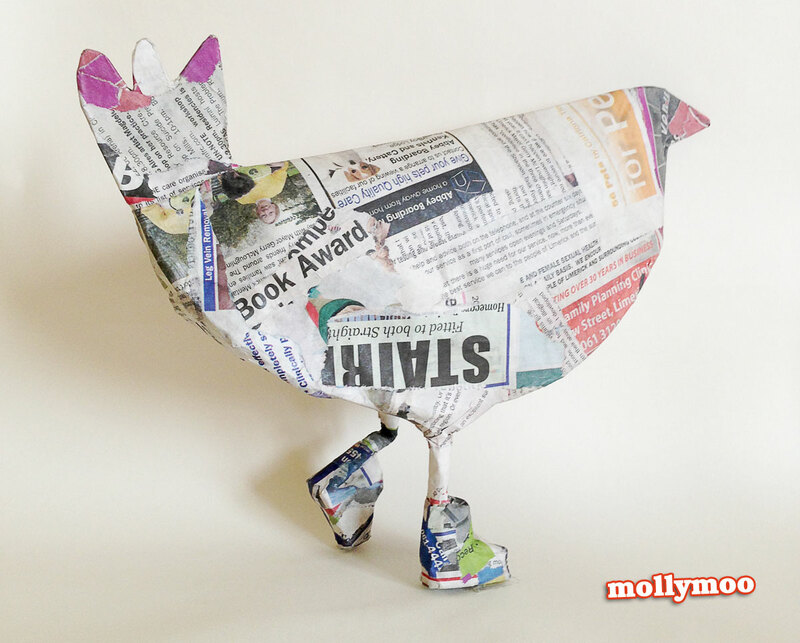 Our paper plate, papier mache, chickens are all grown up. 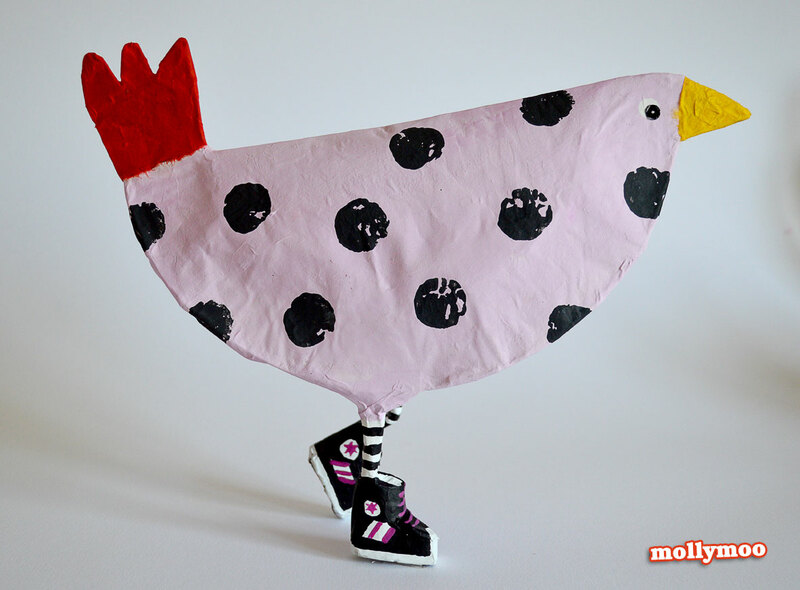 For the Hen Craft Challenge I needed to create a hen that represented me somehow, so all decked out in stripes, polka dots and converse this is me…. as a hen!! 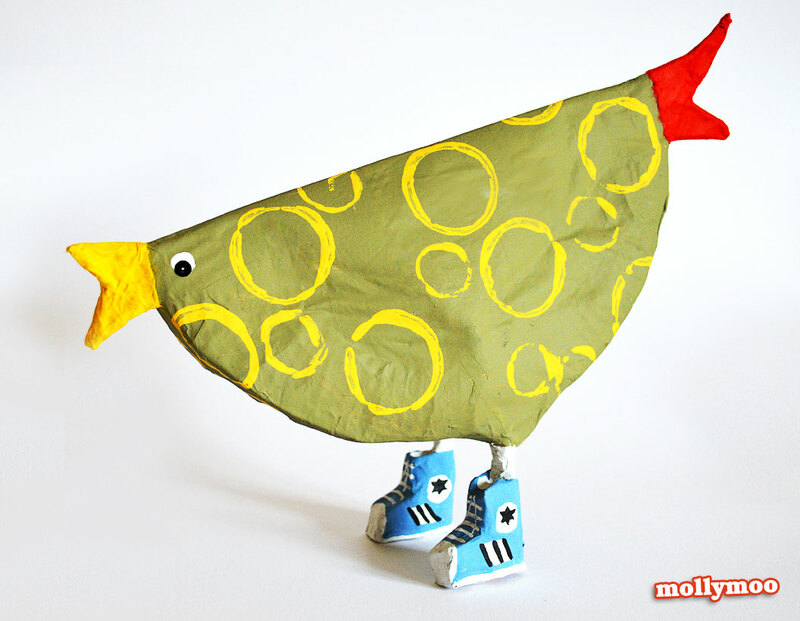 Working up from Miss6’s Paper Plate Chickens I decided to add ‘a bit of leg’. 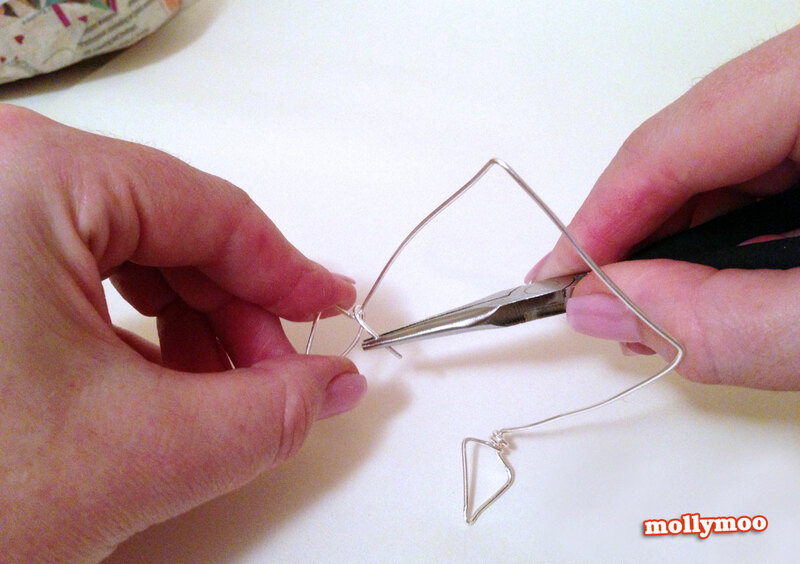 First I bent and twisted some modelling wire. 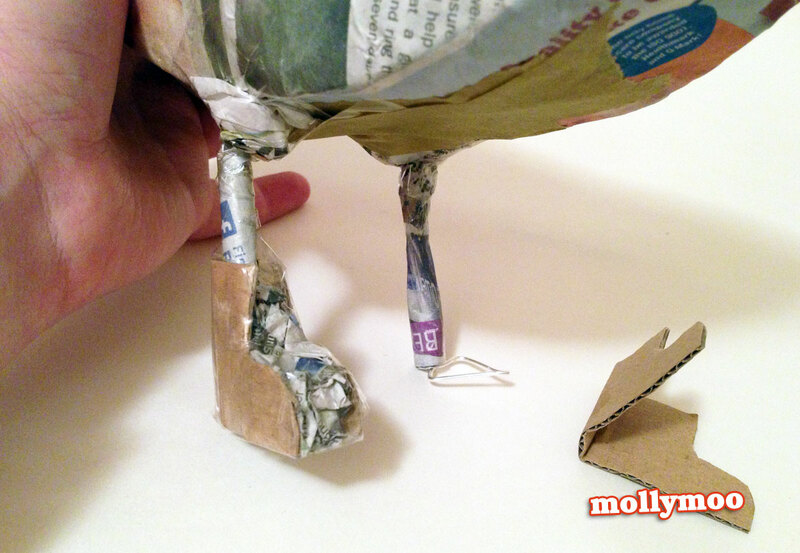 I then taped the wire onto the underside of the hens and built up the thigh, legs with newspaper. 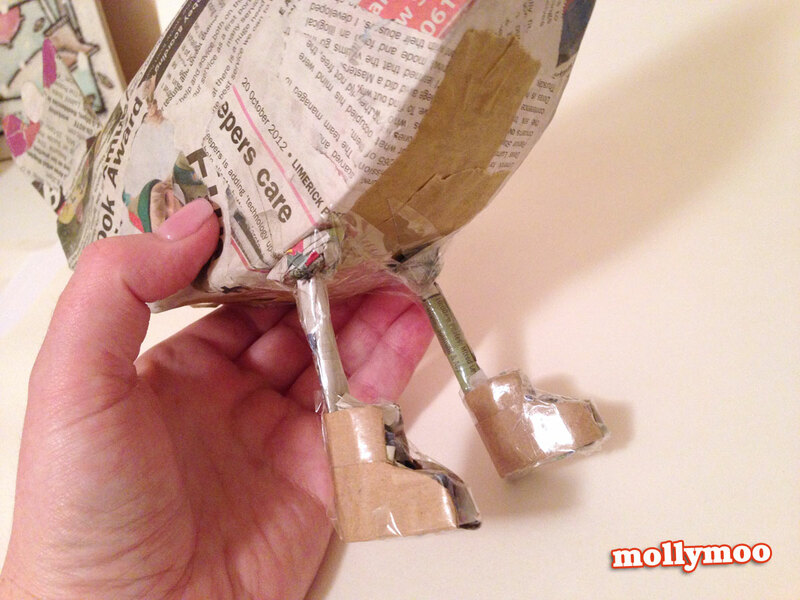 I then cut little boot shaped pieces of cardboard and packed in newspaper around each foot. 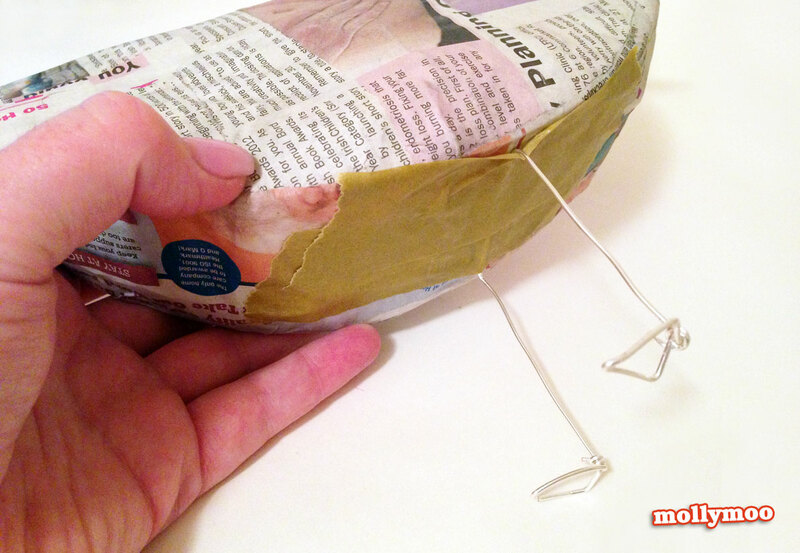 When all taped up I sealed it all in with one layer of papier mache. When dry I really enjoyed painting, stamping on the polka dots with a wine cork and the yellow circled with a toilet roll core. 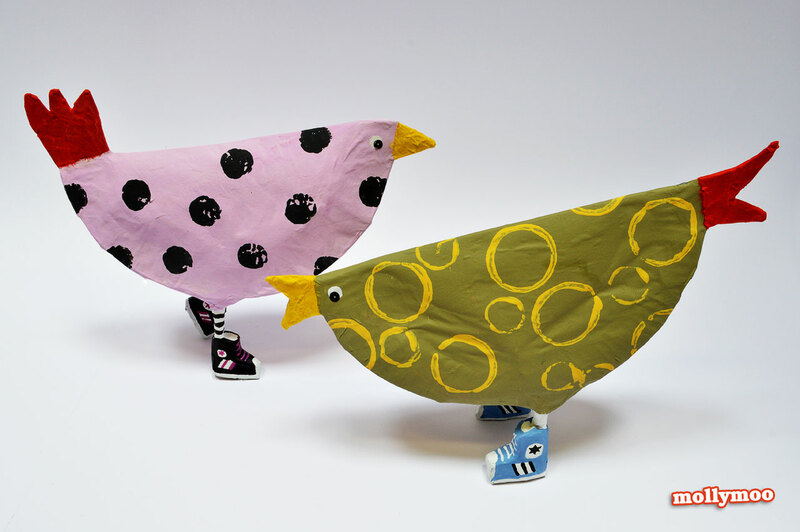 I used some handmade paper for the red tails and yellow beaks, and a little black sequin dot for the eyes.